One of the simplest flags, as well as one of the easiest to recognize, the Japanese flag comprises a white background with a striking red disk in the center. Japan is known around the world as "Land of the Rising Sun," and its flag depicts this sentiment. The disk in the center of the flag is called Hinomaru, which means disk of the sun. This symbol has been an imperial badge since the 14th century. The white background of the flag is said to represent honesty and purity, while the Hinomaru is said to express brightness, sincerity, and warmth. 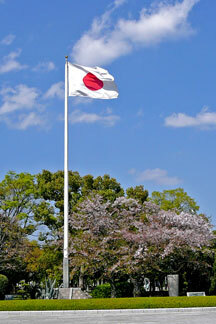 The flag was currently established the official flag of Japan in 1870, and has both national and civil uses. Japan's naval ensign has adapted its national flag so that red rays extend from the disk to the border of the flag, calling to mind the rising sun. Located in East Asia's Pacific Ocean, Japan is a country made up of four main islands — Hokkaido, Shikoku, Honshu, and Kyushu — as well as close to 3,000 smaller islands. The closest countries to Japan are China, Korea, and Russia, which lie to Japan's west. About three-quarters of the country is covered by mountains, many of which have both dormant and active volcanoes. Mount Fuji, Japan's highest peak, is an active volcano. This scalable map of Japan shows Japan's geographical location as well as its major cities, highways, and natural features. Japan has a diverse climate, but the country as a whole has high rainfall and is humid. Warm summers and long, cold winters are prevalent in the north, while hot, humid summers and short winters are the norm for the center of the country. The southwest enjoys long, hot and humid summers and mild winters. While Japan's early civilization was agricultural, today's society is urban, international, and industrial. With 128 million people Japan boasts the world's tenth largest population, and its capital, Tokyo, is the world's largest metropolitan area, with more than 30 million residents. While Japan isn't a particularly small country, areas are densely populated because much of the country — due to steep elevations, earthquakes, volcanoes, and landslides — is uninhabitable. Japan is considered a constitutional monarchy, though the power of the Emperor is very limited. Instead, the Prime Minister of Japan, who is the head of the government, and elected members of the diet hold most of the country's power. A world leader in both technology and machinery, Japan is the world's fourth largest exporter and sixth largest importer. It boasts the world's second largest economy, after the United States, and has the world's fifth largest defense budget. 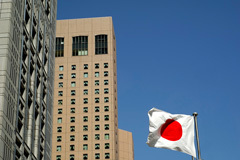 Banking, insurance, real estate, retail, transportation, and telecommunications are some of Japan's major industries. 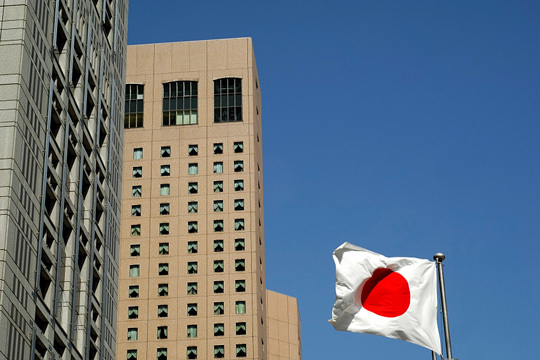 Japan is known for being one of the world's most technologically advanced countries, and has historically been known as a "leader of the pack" when it comes to advances in electronic equipment, machinery, industrial robotics, optics, semiconductors, and motor vehicles. 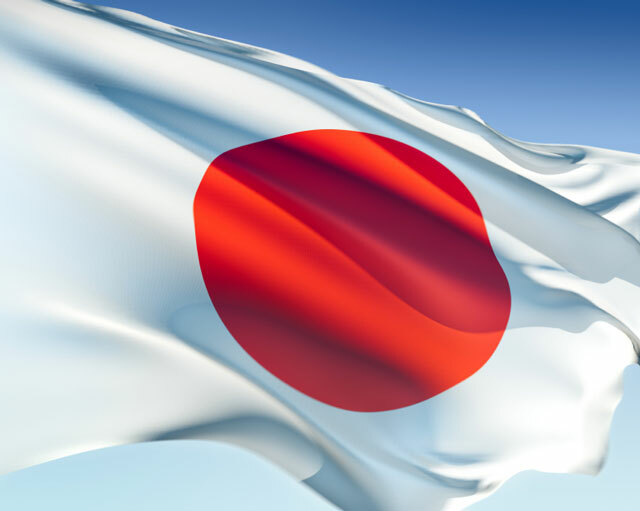 Japan Facts - information about Japan and its flag. MOFA - Ministry of Foreign Affairs of Japan portal. Prime Minister of Japan and his Cabinet - Cabinet Public Relations Office. Japan Map - Japan maps, geography, and tourism. Japan News - news articles and facts about Japan.